Yu-Gi-Oh! TCG Event Coverage » Central America WCQ Public Events Points Playoff Winner! Home > 2018 Central America WCQ, Championships	> Central America WCQ Public Events Points Playoff Winner! We have the winner of the Public Events Points Playoff for the 2018 Central America WCQ! 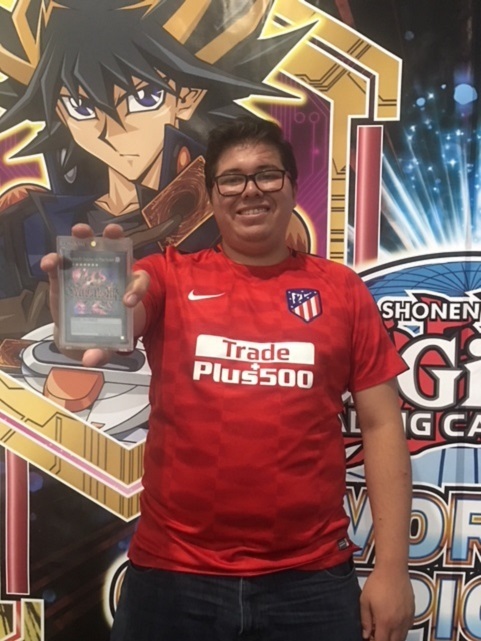 Sergio Alberto Brena Gudina from Queretaro, Mexico used his Sky Striker Deck to win the Public Events Points Playoff and take home a Super Rare Number 89: Diablosis the Mind Hacker! 2018 Central America WCQ: Event Table of Contents! Central America WCQ Random Public Events Playoff Winner!